The there will be an opportunity to have a session in the pool with the inflatable. A Mere Cycles who will give your bikes a safety check and give you the opportunity to try out the new electric cycles. Not forgetting St Martins School PTA who will be on hand to sell you refreshments. 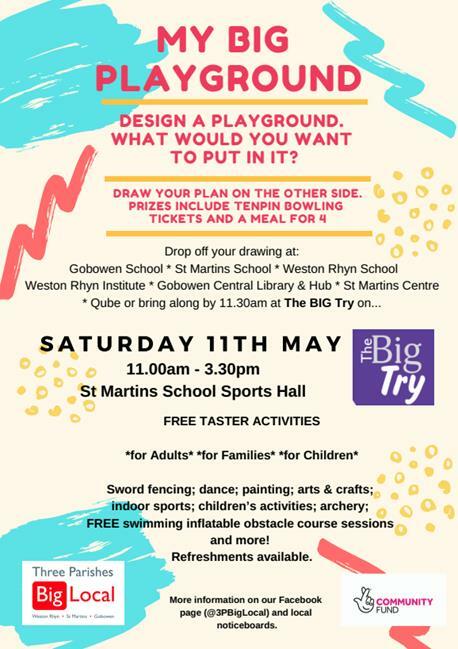 My BIG Playground – young people have been offered the opportunity to design their BIG Playground and winning designs can win a bowling voucher and meal for 4 at The Venue. Entries can be dropped off at one of our collection points: St Martins Centre, Gobowen Station or Weston Rhyn Institute – or brought along by 11.30am on the day. 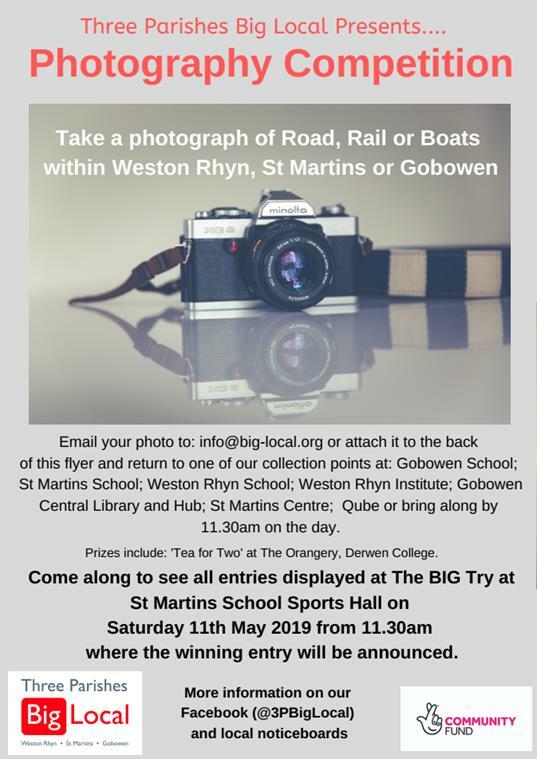 Photography – the competition is open to anyone who lives or works within Weston Rhyn, St Martins or Gobowen. The theme for the competition is: Road, Rail or Boat within Weston Rhyn, St Martins or Gobowen. Entries can be emailed to: info@big-local.org, dropped off at one of our collection points: St Martins Centre, Gobowen Station or Weston Rhyn Institute or brought along by 11.30am on the day.